Both regions propelled Beat Saber to a second week at the summit of the PlayStation VR charts, while Fortnite continues to maintain an iron grip on DLC sales. You can peruse the full list of best-sellers for the USA and Europe through the respective links – but be sure to let us know which games you purchased in January via the comments section below. Happy to see Kingdom Hearts 3 doing really well. Its lovable corny happiness vibe is a good break from the all the moody games I've been playing all the time last year. here is hoping this won't turn into a usa vs europe comment section. anyway nice to see the 2 big january games do so well. @jdv95 well im from the US and i have terrible taste. Glad to see the games are doing well. Both Resi 2 and KH3 are deserving of it. Got both games btw proud European. 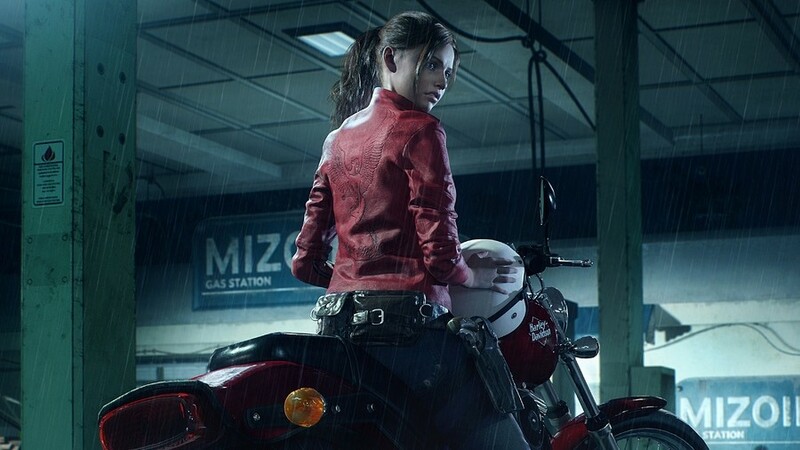 Hope RE2 continues to sell well. It's easily the best combo of horror and action I've seen from them, and proof that a RE4-style camera viewpoint and controls can gel with classic survival horror game design. Haven't gotten around to KH 3 but been loving the RE 2 remake. Had wanted that game since finishing the REmake 1 way back in 2002 and it's everything I could've hoped for. Agreed. As much as I love RE 7, still prefer third person gameplay over first and what Capcom did here with the RE 2 remake sets a perfect course for the series future. Hopefully this game can surpass sales of 7, maybe even 6 because this is the template I want to see Capcom follow through with when it comes time for RE 8. I own both Kingdom Hearts 3 & RE2 Remake. Haven't played RE2 just yet as I am just finishing the Platinum for Shadow Of War, than playing KH3 and then RE2. What is the reason for KH3 to launch so low on EU charts? Did I miss something? Congrats to Capcom with RE 2 topping the charts in EU though. And the US charts is what I kinda predicted. Kudos to all. @Ralizah It hasn't actually got RE4 controls, it's more like Revelations or RE6. People seem to really commonly overlook this, but RE4 had the same tank controls as the previous games. You also couldn't move the camera independently of movement (well, you could like nudge it a bit while standing still) or strafe. @JAMes-BroWWWn At least speaking for Brits here, generally the Disney element is seen as a huge turn-off rather than a selling point.